Hillingdon Labour Councillor Lindsay Bliss has voiced her disappointment that last Thursday at the Hillingdon Full Council meeting, Conservative Councillor Nicola Brightman played games by ‘hijacking’ Cllr Bliss’ question regarding the 50 families in Yeading ward being evicted in order for the homes to be purchased by Barnet Council just before she was meant to ask it – due to a constitutional procedure that favours the majority party on the Council. Despite Cllr Bliss’ question being clearly published on the agenda as protocol demands, the Council’s constitution states that the majority party is entitled to ask the first ‘Councillor Question’ to the Cabinet member responsible for that area. Cllr Brightman raised a query on Hillingdon evicting residents which results in the tenants being put in costly temporary accommodation – paid for by the Council. 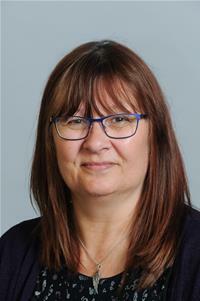 After her question had been responded to, Cllr Brightman was entitled to ask a supplementary – and it appeared she simply reworded the question from Cllr Bliss written on the order paper and put that to the Cabinet member. Hillingdon Labour have called this a deliberate attempt to undermine Councillor Bliss and her representation of Yeading ward, in which the 50 families being evicted reside. The Labour group have argued that despite the administration’s claim to put residents first, the Conservative-run Council instead chooses to play petty games in the council to undermine opposition councillors and the residents they represent. At a previous Full Council meeting, the Conservatives threatened to invoke a standing order that would effectively end debate and prevent the Labour Group from speaking on behalf of their residents. “At last week’s council meeting I put a question asking for an update on the Yeading residents whose properties have been bought by Barnet Council. It is an issue that has caused a lot of stress and upset for the families who have been served with eviction notices. I was shocked that the question was hijacked by Cllr Brightman and shamelessly used as a supplementary to her question. If they were that concerned, why didn’t they put a question of their own on the agenda.